THE CATHOLIC CHURCH: THE TRUE CHURCH FOUNDED BY CHRIST. WHY SETTLE FOR LESS? BE FAITHFUL! BEWARE OF THE FALSE PROPHETS AND SECTS. Jesus gave the Apostles the Holy Spirit, the power, authority and mission to proclaim the Good News to all nations (universal=catholic. Jesus founded His Church as universal, catholic) and baptize all peoples in the name of the Father, and of the Son and of the Holy Spirit. (Cfr. Mt 28: 18-20. Jn 20: 21-22; Acts of the Apostles which narrates the history of the early Church founded by Christ on the Apostles; Acts 9:31(for the word “catholic” in Greek). Jesus also instituted the 7 Sacraments, which are the necessary means of salvation and sources of divine grace which we need in our earthly pilgrimage towards heaven. Jesus also gave us through the Apostles, with Peter has having the primacy, and their successors, the Bishops and their delegates, the priests, all the necessary commandments in order to live our life in conformity to Christ’s life and be united with Him always. Cfr. 2 Tim 2:2: Jn 14:15-18..
ALL THE ABOVE IDEAS BRIEFLY POINT TO THE FACT THAT THE ONE TRUE CHURCH JESUS FOUNDED IS THE CATHOLIC CHURCH WHICH HAS ALL THE NECESSARY MEANS THE SALVATION OF HUMANITY. As such, IF THE CATHOLIC CHURCH IS THE ONE, TRUE CHURCH FOUNDED BY OUR LORD JESUS CHRIST WHICH HAS ALL THE NECESSARY MEANS FOR MAN’S SALVATION, WHY SETTLE FOR LESS OR NONE BY JOINING OTHER faiths or sects, which JESUS DID NOT BUILD, but rather FOUNDED BY MEN? DON’T LET YOURSELF BE DECEIVED. BEWARE OF THE FALSE PROPHETS AND THEIR SECTS! BE FAITHFUL AND STAY FIRM IN YOUR CATHOLIC FAITH! See as well: CHRIST INSEPARABLE FROM HIS CHURCH? Acts 9:31 in Greek: “ai men oun ekklēsiai kath olēs tēs ioudaias kai galilaias kai samareias eichon eirēnēn oikodomoumenai kai poreuomenai tō phobō tou kuriou kai tē paraklēsei tou agiou pneumatos eplēthunonto” EKKLESIA KATH’OLES. The term “Catholic”, derived from the Greek word καθολικός (katholikos), which means “universal” or “general”, was also used to describe the Church in the early 2nd century although Jesus’ foundational will as seen in Mt 28:20 is that the Church He founded is universal=catholic. The term katholikos is equivalent to καθόλου (katholou), a contraction of the phrase καθ’ ὅλου (kath’ holou) meaning “according to the whole”. 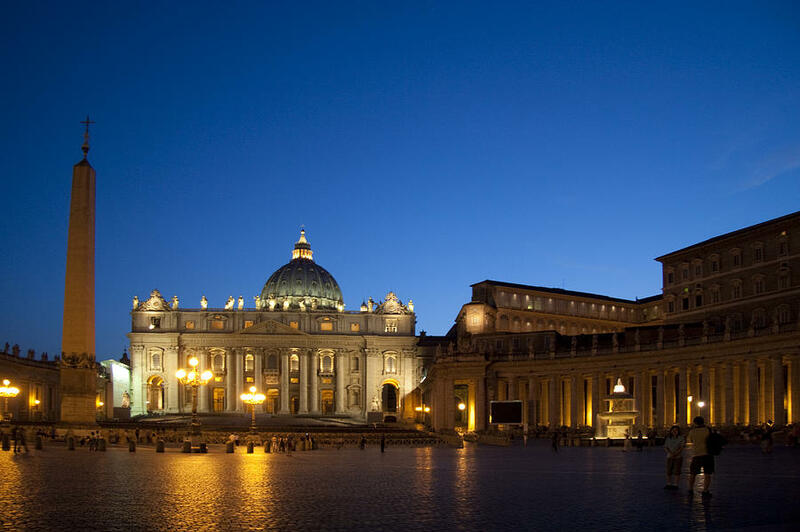 Thus the full name Catholic Church roughly means “universal” or “whole” church. BAPTISM. Matthew 3:16; Matthew 28:19; Mark 1:8; Mark 16:16; John 3:5; Acts 1:4-5; Acts 2:38; Acts 8:16; Acts 8:36-38; Acts 11:16; Acts 16:15; Acts 16:33; Acts 18:8; Acts 19:3-6; Acts 22:16; Romans 6:3-4; 1 Cor. 12:13; Eph. 5:25-26; Col. 2:12; 1 Peter 3:20-21, and many others. CONFIRMATION. In Acts 19:3-6, especially, it is clear that John’s baptism, Christian baptism and Confirmation are all distinct realities. Also, in Hebrews 6:2 baptizing and laying on of hands are distinguished. Isaiah 44:3; Ezekiel 39:29; Joel 2:28; John 14:16; Acts 2:4; Acts 8:14-17; Acts 19:3-6; Hebrews 6:2. HOLY EUCHARIST. Matthew 26:26-29; Luke 24:35; Acts 2:42; 1 Cor. 11:24-27; PENANCE. Matthew 16:19; John 20:21-23; Rev. 1:18. ANOINTING OF THE SICK. James 5:14-15. HOLY ORDERS. Acts 6:3-6; Acts 13:2-3; 1 Tim. 3:1; 1 Tim. 3:8-9; 1 Tim. 4:14; 1 Tim. 4:16; 1 Tim. 5:17-19; 1 Tim. 5:22. MATRIMONY. Mt. 19:10-11; Eph. 5:31-32. The role of apostolic succession in preserving true doctrine is illustrated in the Bible. To make sure that the apostles’ teachings would be passed down after the deaths of the apostles, Paul told Timothy, “[W]hat you have heard from me before many witnesses entrust to faithful men who will be able to teach others also” (2 Tim. 2:2). In this passage he refers to the first three generations of apostolic succession—his own generation, Timothy’s generation, and the generation Timothy will teach.